Mahindra Scorpio, Xylo, Verito December discounts. Discounts of up to Rs.60,000 on Mahindra Xylo, Scorpio and Verito! Mahindra is offering massive discounts ranging from Rs. 35,000 – 60,000 on the Xylo, Scorpio and the Verito sedan. The offers are valid for a limited period or till stock lasts. Let’s get into the details straight away and see how these discounts affect the prices and propositions of these vehicles. The Xylo gets Rs. 60,000 worth of benefits across all variants: D2, E4, E6 and E8. The benefits are passed on to customers by means of a Rs. 40,000 cash discount, Rs. 5,000 exchange bonus and Rs. 15,000 worth financial benefit which is at the sole discretion of offering Financier. Photo: The Xylo gets discounts of up to Rs.60,000 this December! The cash discount makes the Xylo available at a starting price of Rs. 6.97 lakh. The top-end variant, Xylo E8 at an offer price (including cash discount only) of Rs. 8.62 lakh is Rs. 1.17 lakh less than the Toyota Innova G variant priced at Rs. 9.79 lakh. Despite the cheaper price, the Xylo E8 packs in more creature comforts such as a 2-DIN music system with auxiliary input, USB port, four speakers, alloy wheels, all four power windows, rear AC vents, two mobile charging points, height adjustable driver seat and parking sensors. You can also get optional ABS and Airbags on the E8 variant. The Verito sedan gets benefits worth Rs. 35,000 on the G4 petrol variant through a cash discount of Rs. 30,000 and exchange bonus of Rs. 5,000. The diesel variants such as D2 get a cash discount of Rs. 18,500 the D4 gets a cash discount of Rs. 21,500 and the top-end variant and the D6 gets a cash discount of Rs. 28,000. 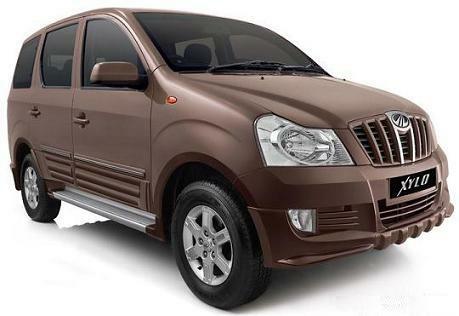 Photo: The Verito sedan gets benefits worth Rs.35,000! With an offer price (including cash discount only) of Rs. 4.85 lakh, the Verito G4 petrol variant is Rs. 13,000 cheaper than the Maruti Suzuki Swift Dzire LXI variant priced at Rs. 4.94 lakh. Not only is it cheaper but the Verito G4 also comes with all four power windows, remote boot opener, low fuel warning lamp, vanity mirror, rear reading lamp, tachometer, adjustable headlights, digital odometer, full wheel covers and rear spoiler. These features are not available in the Dzire LXI variant. Coming to the diesel variants, the Verito D2 base variant with an offer price of Rs. 5.75 lakh is Rs. 20,000 cheaper than the Dzire LDI priced at Rs. 5.95 lakh and Rs. 46,000 less than the Tata Manza Aqua Quadrajet priced at Rs. 6.21 lakh. All the three cars come with power steering, AC with heater, multi-trip meter, digital clock, tinted glass and integrated antenna. The Verito D2 has a digital odometer and a rear spoiler which are not offered in the Dzire or the Manza. On the other hand, the Dzire LDI comes with a boot light, height adjustable front & rear seat belts. The Manza Aqua too has these features, but also comes with front power windows, a power outlet, vanity mirror, rear seat centre armrest and a tilt adjustable steering. Summing up, the Verito D2 is slightly more value for money than the Dzire LXI and better value for money than the Manza ignoring a few more features offered in the latter. The Verito D4 mid variant with an offer price of Rs. 5.94 lakh is Rs. 52,000 cheaper than the Dzire VDI priced at Rs. 6.46 lakh and Rs.71, 000 less expensive than the Tata Manza Aura Quadrajet priced at Rs. 6.65 lakh. All the three cars come with central locking, all four power windows, remote fuel lid opener and front cup holders. The Verito D4 gets front power windows, boot light and height adjustable seatbelts. However, the Dzire VDI and Manza Aura which are Rs. 50,000 more than the Verito D4 has more features such as temperature display, front fog lights, music system with four speakers and rear centre armrest. Summing up, if you can manage fitting an aftermarket music system and fog lights for around Rs. 20,000, you could still save Rs. 32,000 – Rs. 51,000 by buying the Verito D4. The Verito D6 top-end variant with an offer price of Rs. 6.43 lakh is priced Rs. 86,000 lower than the Dzire ZDI priced at Rs. 7.29 lakh and Rs.1.29 lakh lower than the Tata Manza Elan Quadrajet priced at Rs. 7.72 lakh. The Verito D6 gets ABS with brake assist, driver airbag, and cigarette lighter, all four power windows, electric mirrors, rain sensing wipers, rear defogger, alloy wheels, music system with four speakers. However, the Dzire ZDI and Manza Elan which are Rs. 86,000 – 1,29,000 more expensive than the Verito D6, get more features. Buyers going for high end variants look for maximum features in which the Verito D6 lags behind its competition. However, if these features are ignored, the Verito D6 is priced substantially lower than its rivals and is a good buy indeed. Mahindra offers the Scorpio VLX top-end variant with benefits worth Rs. 40,000 bringing. The benefits of Rs. 40,000 comes through Rs. 21,500 cash discount, Rs. 5,000 exchange bonus, Rs. 6,500 worth free insurance and Rs. 7,000 worth financial benefits which is under sole discretion of the financier. 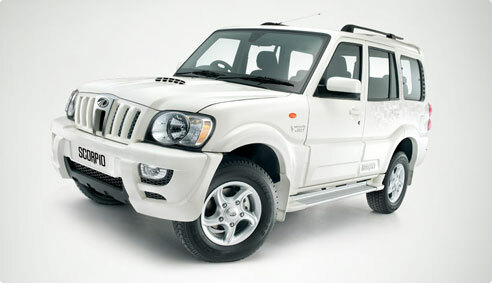 Photo: The Mahindra Scorpio gets benefits worth Rs. 40,000! The Scorpio VLX 2WD with an offer price (including cash discount only) of Rs. 10.20 lakh is Rs. 1.61 lakh lesser than the Tata Safari VX 2WD priced at Rs. 11.81 lakh. The Scorpio VLX 4WD with an offer price of Rs. 11.19 lakh is Rs. 1.54 lakh lesser than the Tata Safari VX 4WD priced at Rs. 12.73 lakh. Both the SUVs have power windows, power steering, AC, rear AC vents, parking sensors, adjustable steering wheel, front fog lights, alloy wheels, side stepper, front and rear speakers. The Safari VX, which is Rs. 1.61 lakh more than the Scorpio VLX offers more features such as DVD player, rear cup holders, leather seats and leather steering wheel while the Scorpio VLX, despite its lower price has power outlet, cruise control, tinted glass, CD player and Tyretronics. Summing up, the benefits worth Rs. 40,000 has made the Scorpio VLX, a much better ‘value for money’ proposition than the Safari VX.